Nice capture! He looks beautiful! FAV! I'm glad you like it Alana. I don;t think it was happy that I was there. Thank you very much Larry. Spectacular capture Norman! Adding my like now. I'm glad you like it Marvin. 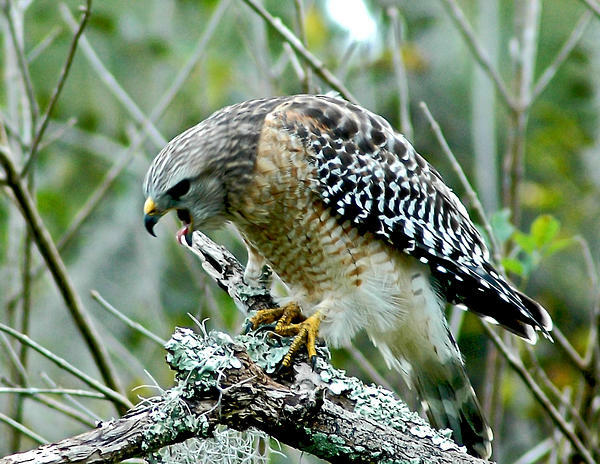 Beautiful Hawk. Love the detail. 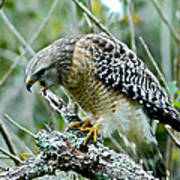 I found this red shouldered hawk one fall morning in Lettuce Lake Park in Tampa, Florida. 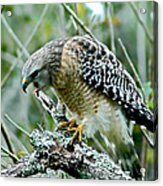 Red shouldered hawks (buteo lineatus) can be found in deciduous�woodlands near rivers and swamps from eastern Canada and the united States down into Mexico and along the coast of California and Baja California.The soar over or through forests or perch on tree branches searching for prey. They are a medium distance migrant in the upper part of their range during the winter and resident in the rest of their range.